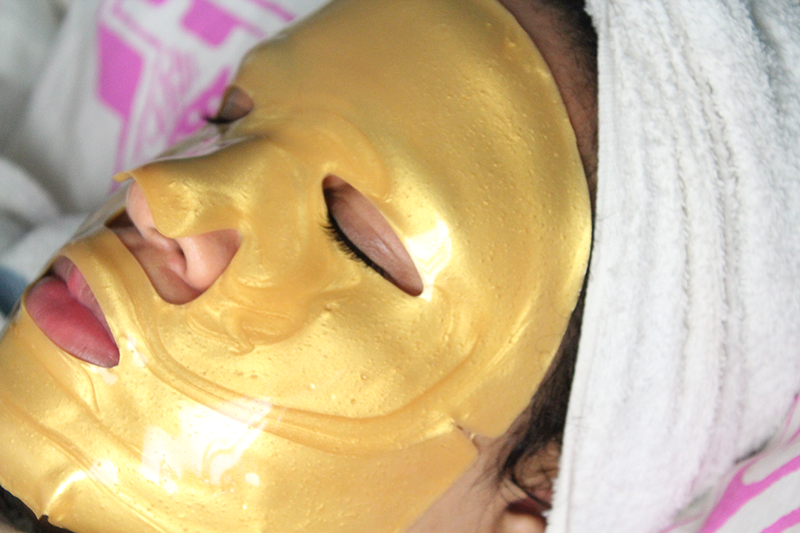 24k Gold face mask, I hear you exclaim! Jamela Skincare have a 24k collagen range that aims at specific spots on body such as necks, eyes, underarm, breasts and lips. 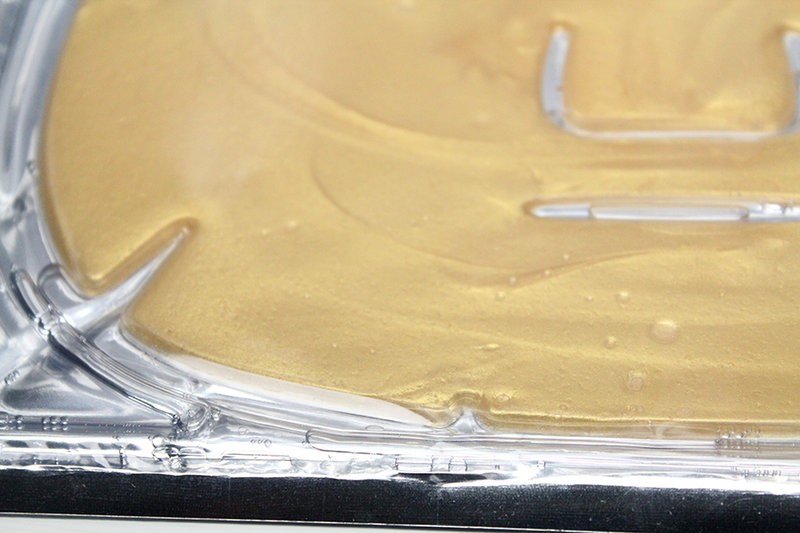 The natural plant collagen with the Gold contains natural healing properties that are easily absorbed by the skin. These come in packs of 5 retailing at £37.50 and each sheet comes in its own foil packaging that has distilled water inside. Possibly to keep it hydrated until you are ready to use it. The texture of the mask takes me back to the texture of those Aliens that some of us may of had around 1998 - 2000. Rubbery. Upon taking it out, you're met with the Rose scent. I use to use rose water in my facial routine a few years back but did find the smell slightly overwhelming, this masks scent has been kept light but it's relaxing. Here is my face (duhh!) all I have done so far cleansed, exfoliated and toned and then popped the face mask on. Things we do for beauty right? Lying down resembling Iron Man. Instantly cooling and relaxing, the rose scent whiffs up the nose just making you want to sleep. They recommend you keep it on for 30 minutes or overnight - just won't happen! You stand up and this baby is ready to drop. Let alone sleeping on it, me personally I sleep like a fish out of water soo .. not ideal. This will brighten the complexion, soften and smooth the appearance of fine lines and produce a lasting youthful glow. 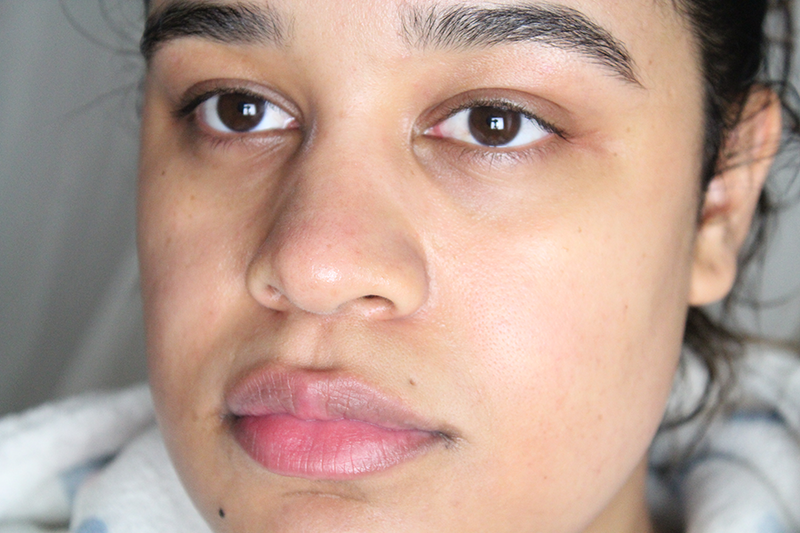 Can't comment on the fine lines but yes I can agree with the brightening and softening - so it's done what it claims, guess I was expecting a bit more from it. share with me your favourite face mask? Love this! Definitely that Iron Man look here with face mask on. I've heard about how gold properties can work wonders on your skin. 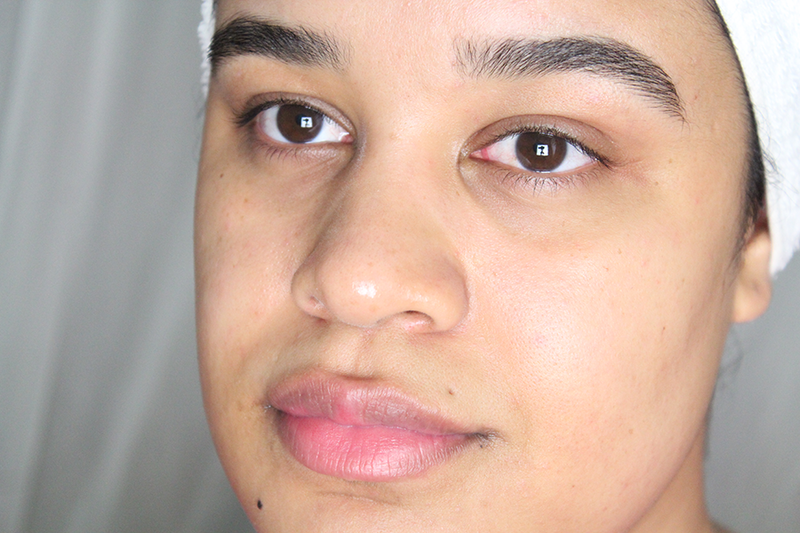 I had an exfoliator before (can't remember what's it called now) and it was great! Never tried a mask with gold though. My fave face mask is definitely Klair's! I think you might have been sent one - and let me tell you, you can sleep with it like a fish if you like! hahah it will not drop nor come off without your helping hand LOL. I love rose scented things, and rose water in fact. This mask sounds interesting. Maybe one day I will give it a try. Wow, this looks awesome! And you have such amazing skin! Lmaooooo you do look like Iron man! It looks pretty cool though. It must feel amazing! I love any mask by lush - I don't even have a particular favourite; I love 'em all lol! 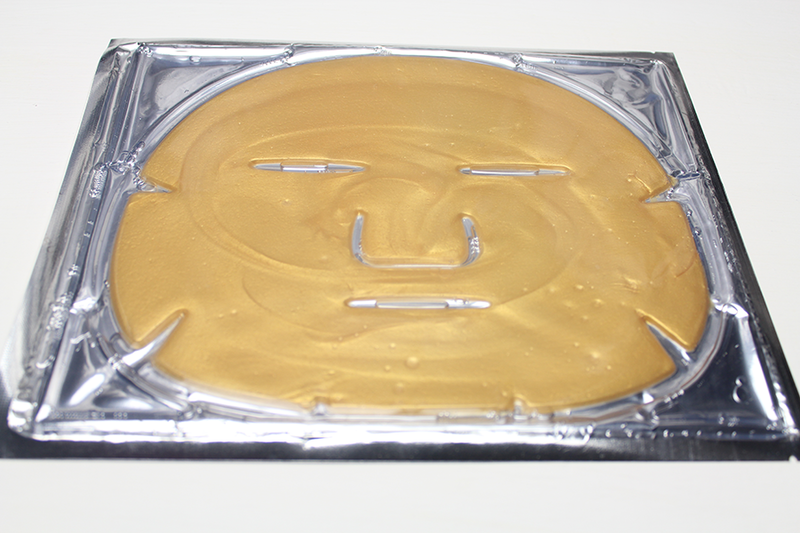 I have heard of this face mask and I got interested upon seeing it here in your blog. I am curious on how it works and what it will do to my skin. I guess I really have to try it to know the answers to my questions. Is it being absorbed by the skin?